As Research Uptake Manager in the Evidence into Action team at the UK’s Department for International Development (DFID), Ed Barney manages INASP funding on behalf of DFID. 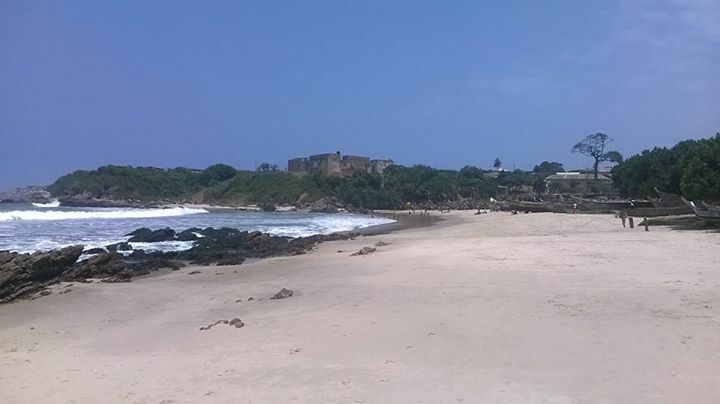 In this guest post, he reflects on the recent VakaYiko consortium meeting in Ghana. 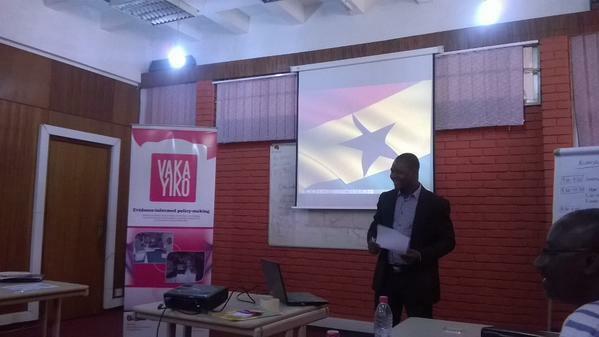 In the final week of July, the VakaYiko consortium came together for their second annual meeting in Accra. 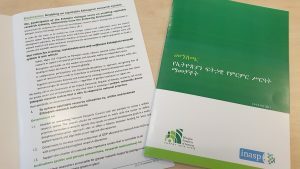 This brought a number of partners into one room, with representatives from INASP, the Ghana Information Network for Knowledge Sharing (GINKS), the Zimbabwe Evidence Informed Policy Network (ZeipNET) and the Overseas Development Institute (ODI). For the first time (and hopefully not the last!) DFID were also invited to take part in the meeting, which was an offer I could not refuse as a technical adviser to the programme. This meeting was fascinating for me to see how the relationships have emerged over the past two years, both within the consortium and in the three countries where VakaYiko is currently working – Ghana, South Africa and Zimbabwe – all of which present different opportunities and challenges for evidence use. We also managed to get out and visit the Ghanaian Civil Service Training Centre, which is helping on the frontline to equip policy makers with the skills to use evidence. A whole range of topics were discussed over the course of the week, including comparing different capacity-building approaches, the role of VakaYiko at the interface of research and policy, how the Ghanaian government is using evidence, the meaning of research evidence and understanding evidence to policy linkages. We also learnt how important punctuality is, thanks to a video from the Head of the Civil Service, Nana Kwesi Agyekum Dwamena. 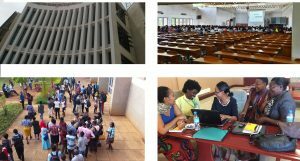 The fundamental aim of the BCURE programme, which VakaYiko is a vital component of, is to increase the use of research evidence in policy-making institutions, such as central government Ministries. One way that we think this might work is by supporting individuals who work in government, through training, mentoring and building working relationships with the research sector. However, as part of this process it has become tempting to for us to talk in generalized terms about how BCURE works with ‘policy makers’. This often leads us to lose sight of the subtleties and nuances of the jobs that people actually have who work in government. I am not sure I have ever met a ‘policy maker’ or ever will do, but I have met plenty of technical advisers, programme managers, evaluators, research analysts and economists who play a vital role in the multifaceted nature of policy formulation. It was really impressive to see how the VakaYiko partners have supported many of these types of individuals through programme work. 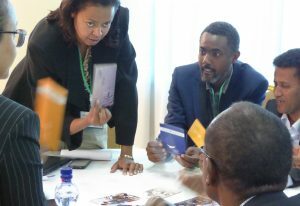 A particular example is the knowledge that GINKS has built up through analysing the action plans that government officials write up following training sessions to demonstrate how they will apply learning in their day-to-day work. This is helping to improve knowledge across BCURE of how individuals contribute to policy formulation, at what stages research can inform this phenomenon and what impact this can have. It was really insightful to hear experiences from across the project countries about the nature of the institutional landscape, the wide range of factors that influence what government institutions spend their money on and how VakaYiko is supporting organizational transformations so that research evidence actually becomes a factor deemed worthy of informing the decision-making process. Personally, I like the way that Chris Brown refers to the ‘policy agora’ and places the spotlight on the power inequalities that impact on evidence-informed policy making, which I think is looking at the UK context. 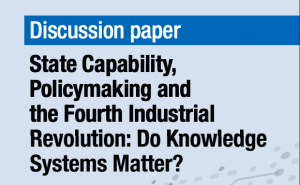 At the meeting in Ghana, we heard about how the lack of institutional connections between the research and government sectors is hampering any form of knowledge exchange between the two. Simply put, the lack of interaction or any working relationship can seriously undermine any potential for a researcher to improve their uptake or prevent a government official from knowing how to commission policy-relevant research. In this context, it can often be beneficial to run policy dialogues, something that ZeipNET has been trying out in Zimbabwe to great effect. This mechanism also encourages a wider audience to engage with research evidence, be that civil society organizations, government bodies or the general public (who play a pretty big role in incentivizing evidence use). The final highlight I took away from the meeting was hearing from Dr Godfred Frempong, a research fellow at the Ghanaian Council for Scientific and industrial Research (CSIR). He was calling for the need for both researchers and policy makers to demystify their understanding of each other, as they often aim for the same goals. He demonstrated a number of policy failures in Ghana that had resulted from a lack of acknowledgement of existing evidence, primarily because the networks and consensus-building process surrounding government institutions did not involve any researchers. This can happen in any facet of policy, ranging from health to aquaculture to environmental management. We also learnt about how the research sector is effectively dragged away from focusing on national priorities by the international donor community, who can sometimes set the terms of reference for irrelevant or less pertinent studies. This is a major issue for donors who want to address big and messy regional development issues, which may be more of priority in certain countries and less of a focus in others. We’re only two years into the BCURE journey, which has presented many challenges to the partners so far, but the level of lesson learning taking place will substantially help everyone as we head into year three of implementation.